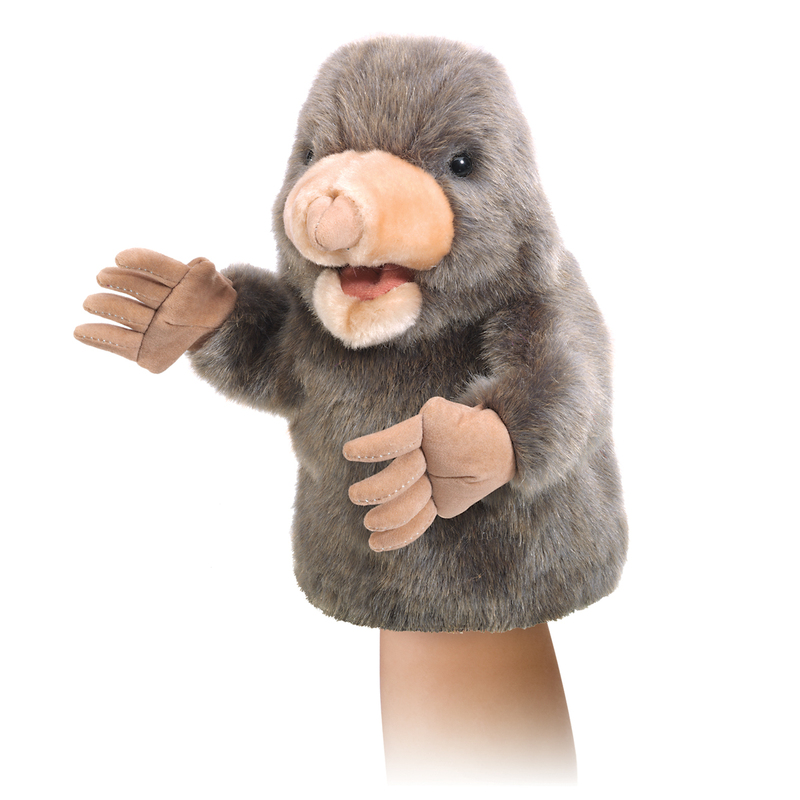 The Folkmanis little mole puppet was released in January 2019. 8 inches tall and 5 inches wide, about 3 inches deep. Put your hand into the puppet from the bottom to move the arms and head. 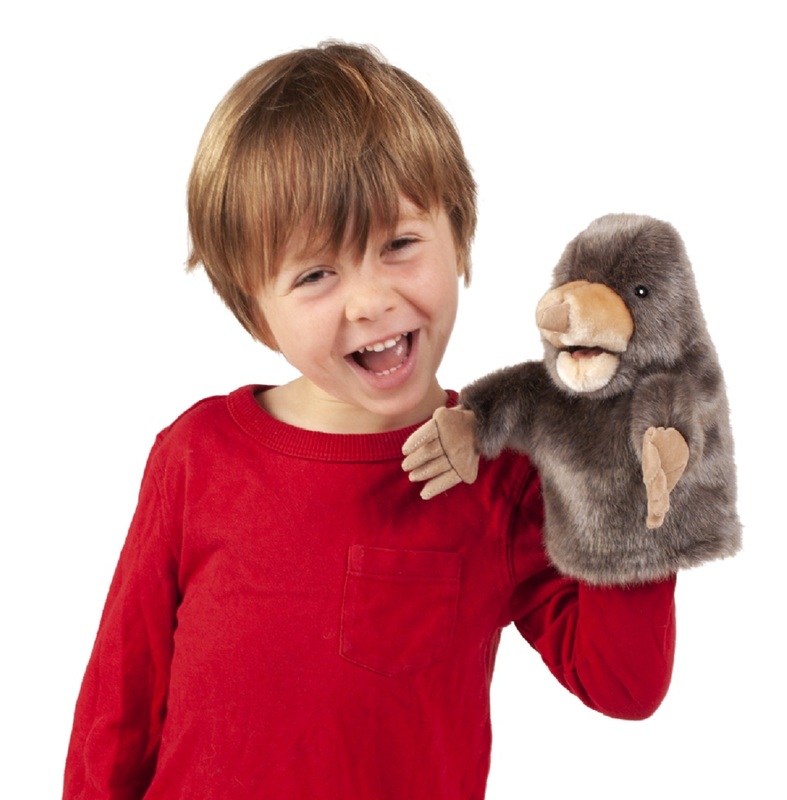 The Little Folkmanis puppets work well for small kids hands as shown or an adult can use their fingers to move the two paws and the lower jaw of the puppet. Adults will probably not be able to put their full hand into the puppet.